I sat down to watch this with my two youngest thinking I might get a little work done on my computer as well. I didn’t get a single word typed. MALEFICENT captured my attention and kept it. I love how the story of Sleeping Beauty was expanded and that we, the viewers, now get a closer glimpse into Maleficent’s life and heart. Angelina Jolie was more than perfect in this role and breathtakingly beautiful. I couldn’t take my eyes off her. Being able to watch her relationship with Aurora grow and change from birth to age sixteen was delightful and tugged at my heart. Although greatly wronged, Maleficent’s side of the story made perfect sense and I loved the turn of events at the end (sorry, no spoilers here 😉 ). This is one movie I intend to watch several more times. There is so much going on, you are sure to see or catch something new each time you view. 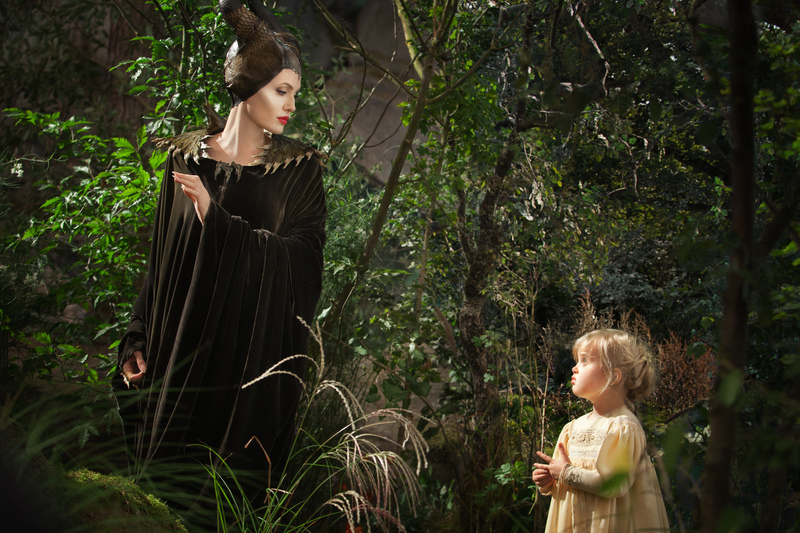 Have you caught the Sleeping Beauty / Maleficent bug? 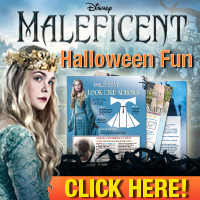 Check out these fun party & costume ideas for Halloween! I want to get this movie, and the Costume for Halloween is such a fun one to wear! I also like the Party ideas. I will have to do this theme Next year for Halloween!! 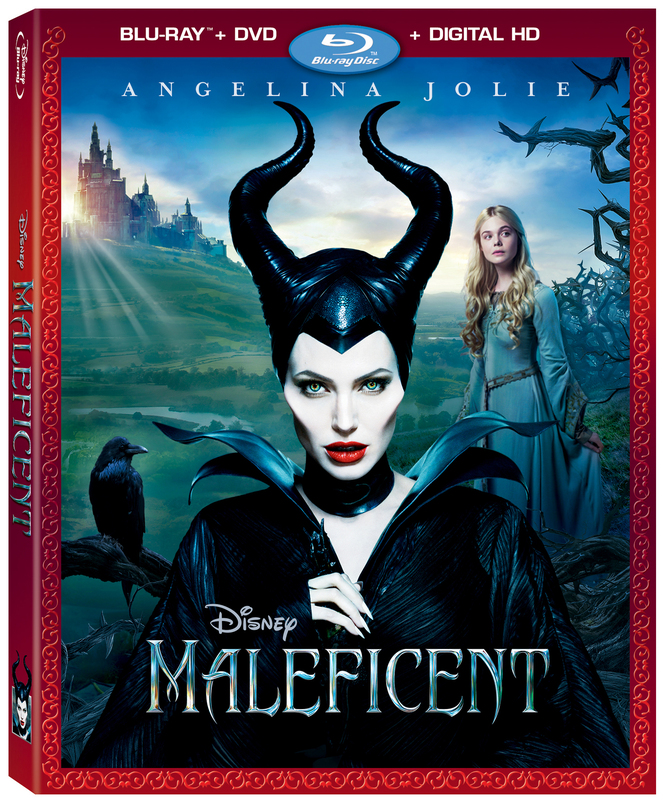 This is a awesome movie to add to the collection, I can’t wait to see if anyone will be wearing a Maleficent costume for Halloween. Great party ideas too! This is definitely a movie I have been wanting to see! The downloads for the party and costume ideas were really neat. The Stone Fruit Crumble recipe looks really interesting! I didn’t know what to expect when I saw this movie in the theater. I loved the cartoon and was wondering how they would change the story. I was blown away by it, both my sister and I loved it. I think I will have to ask for this movie for Christmas. I love this movie. I am anxiously waiting to buy it. I am not a huge fan of Angelina Jolie but she was great in this movie. 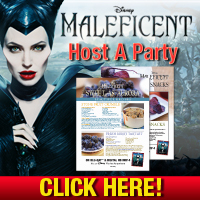 We saw Maleficent in theaters and really enjoyed it. Definitely a film we would like to own and enjoy as a family for years to come. I absolutely loved the movie Maleficent. It’s great for adults and children. Angelina was perfect in this role, and she was great as always. I wouldn’t mind having this DVD part of my collection!